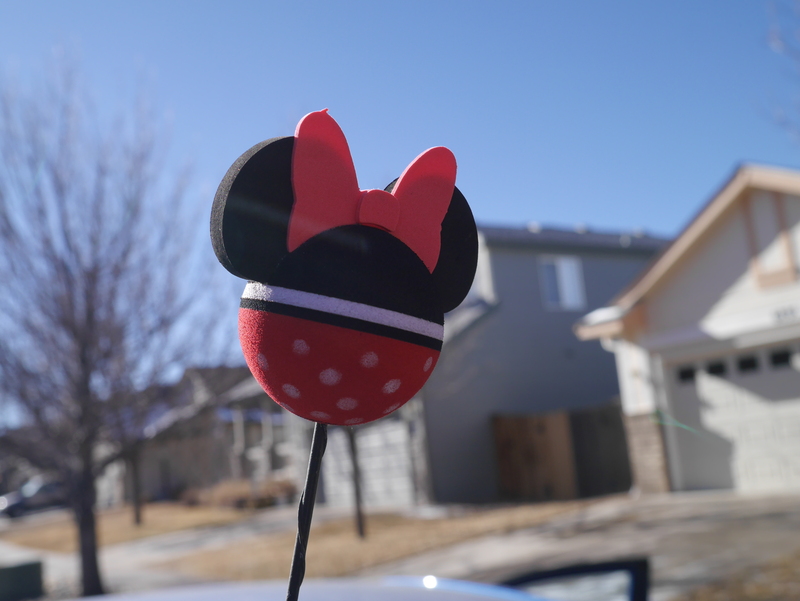 A month or so ago, Elisabeth’s mom surprised me with a new Disney antenna topper from her recent trip to Disneyland. It was so sweet and thoughtful of her. Previously I had my cool rainbow Micky Mouse topper I had bought in Disneyland but it got old and I had to trash it. So this is such a pleasant and lovely surprise. I had gotten so used to looking for the topper to find my car that when I took it off it was a bit of a shock. Now I can look for an antenna topper again!